A day that was mostly about weeding and edging. My progress in edging consists in having learned how to straighten beds using a string. Also, I am becoming better at using my foot behind the half-moon when lifting soil. There are two main movements you have to learn with the half-moon. First, it's pressing down the blade, keeping the tool vertical, in a continuous way along a line, so you do not get bitty cuts. Second, it's to lift the soil away from the edge, using your foot as a lever so that the half moon does not smudge the grass edge. 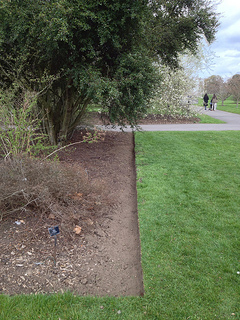 Here is the final cut along the line, cleaned of the soil and grass debris. With regards to weeds, since I am spending time pulling them out, I thought I would take pictures of each specimen, so as to do a bit of IDing. 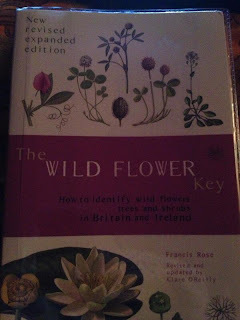 I have previously found it useful to identify wildflowers and weeds from illustrated guides and web keys (for example, I love BSBI wildflower key), but my colleague suggested I buy a proper botanical key. 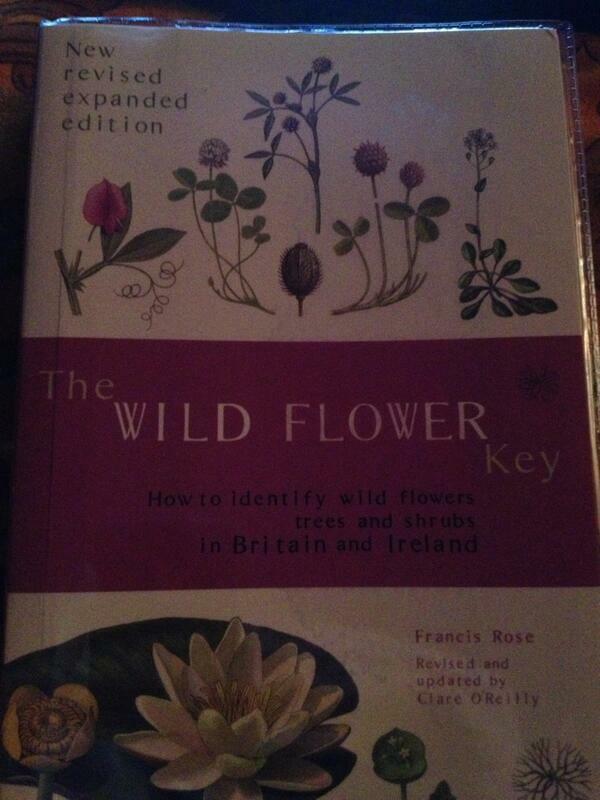 Which I did, and will use it to identify the pictures of the weeds I have collected so far. 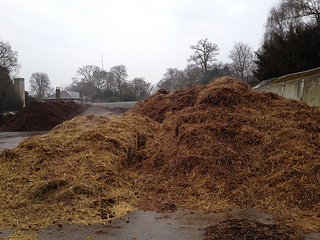 We collect and compost the plant material we discard (except the infected material which is incinerate), and we compost erbaceous and woody material separately in the stable yard where we have our base. There are huge compost heaps there, which can reach the toasty temperature of 60°C-104°F. In the mornings on a cool day you can see them smoking, and the peacocks like to wander around the are; you often find them on top of the heaps, crying out what sounds like a raucous call for help. Some weeds, however, are best composted in a plastic bag, as they are very persistent: they are bindweed, ground elder, Oxalis repens and bluebells - yes, everything can be considered a weed, weed is in the eye of the beholder! On Kew's website there is a whole page dedicated to our compost heap, which is one of the biggest non-commercial ones in Europe, it also features an explanatory video. Should you wish to start your own home composting, I found this quick guide by Garden Organic useful.